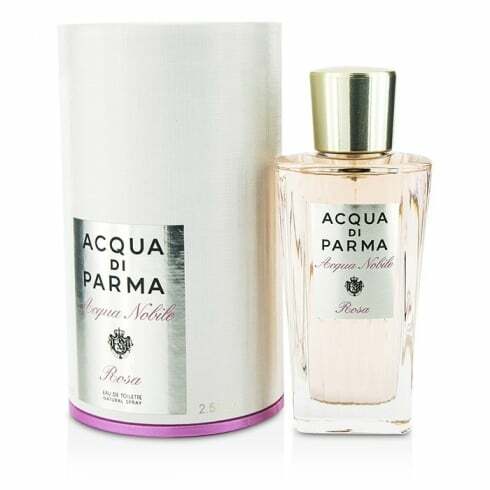 Acqua di Parma Acqua Nobile Rosa is a radiant fragrance that unveils the refined purity of rose petals caressed by the crisp morning air. The unveiling is bright with bergamot, mandarin and blackcurrant. In the heart, the vitality of black pepper, the sublime nuances of damask rose and delicate hints of cyclamen highlight the enveloping richness of Italian centifolia rose. The graceful harmony ends on soft base notes of ambergris and musk. A unique composition for the effortlessly elegant woman.